No Class on Labor Day, Mon Sept 5th (facility is closed). Hanna, Clint, and Connor - 3rd Kyu Promotions! 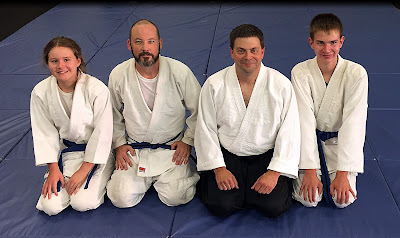 Congratulations to Hanna, Clint, and Connor for passing the 3rd Kyu test!